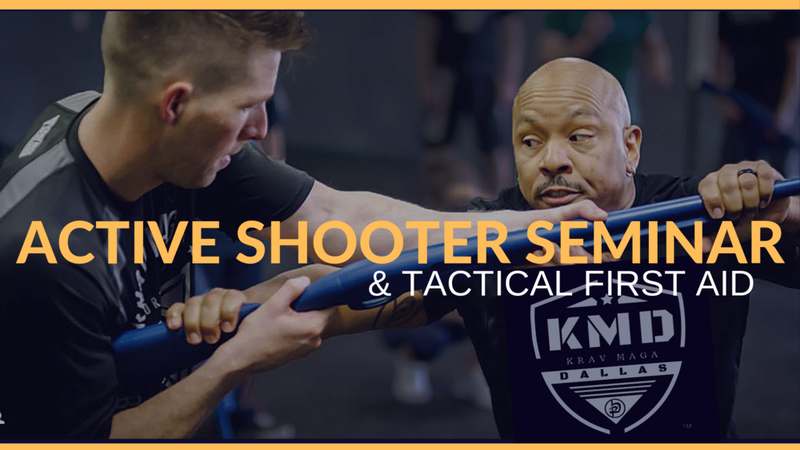 Join Krav Maga Dallas™ Saturday, November 3rd, for our Active Shooter Neutralization Seminar, and gain vital safety skills that can be implemented if ever faced with the unthinkable – an active killer. The seminar will cover both the physical and mental aspects of preparedness for an active killer, as well as, simulating real-life situations in a safe environment run by experts. Areas of focus will include personal combatives and weapons defenses, including handgun, rifle, and shotgun disarming techniques and third party disarming strategies. Additionally, you will learn tactical first aid strategies to help the wounded around you. No previous training or experience is required for participation. Ordinary people can become extraordinary when faced with the unexpected. Find out just how extraordinary you can become. Space is limited. Sign up to reserve your spot now.